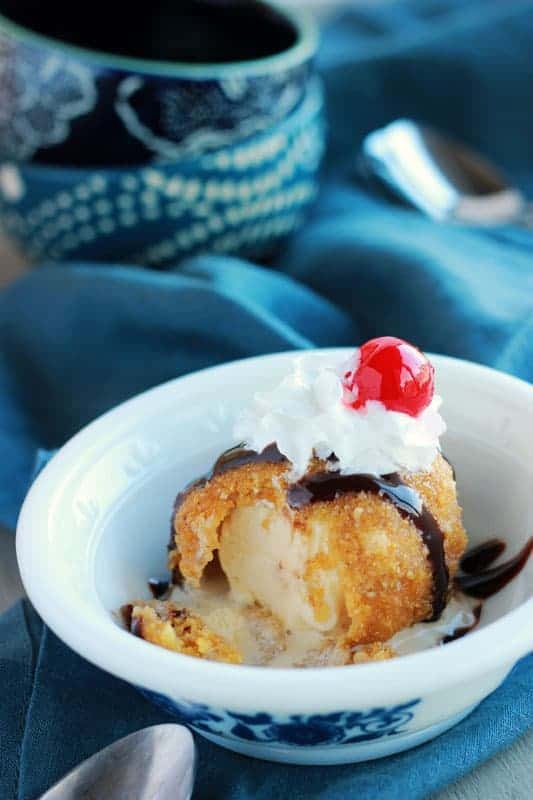 Fried ice cream has been on my “must make” list for so long. Part of me was a little nervous at the idea of dropping a frozen object into a boiling pot of oil but the good news is I bit the bullet and it was AMAZING! 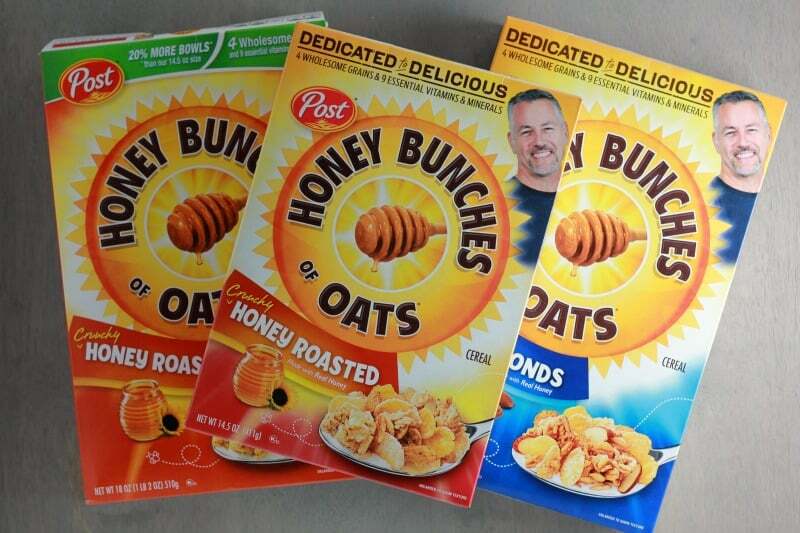 The secret is in the outer coating and you’ll never believe what I used… Honey Bunches of Oats. This isn’t the first time I have used Honey Bunches of Oats in a creative way. 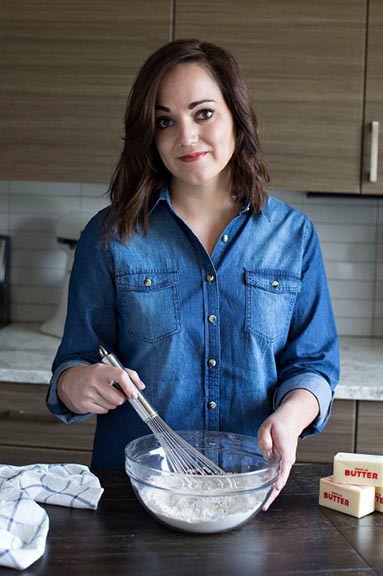 If you look back in the archives you can find my Crunchy Baked French Toast Sticks which to this day is one of our favorite morning meals. Something about the sweet flakes just add a little bit of goodness to every dish. I wanted to explore options beyond breakfast because why should cereal be limited to just one meal a day? Normally I grab for Honey Bunches of Oats with Almonds but this time I felt like the honey roasted would taste great with a creamy vanilla ice cream. I started by tossing two cups into my blender (a food processor would work too) until it was a fine crumb mixture. Next? The ice cream! We were pretty plain Jane with the flavor. Vanilla is one of those tastes that really pairs well with any combo, especially honey. I scooped out five rounds and placed them onto a cookie sheet covered in parchment. You need them to firm up quite a bit before the next step so I popped them back into the freezer for about an hour. Whip some egg whites, roll in cereal, and freeze again. Double coat if you want but we thought one coat worked beautifully. This is where things get fun! Heat a pan of oil until it reaches 375 degrees. 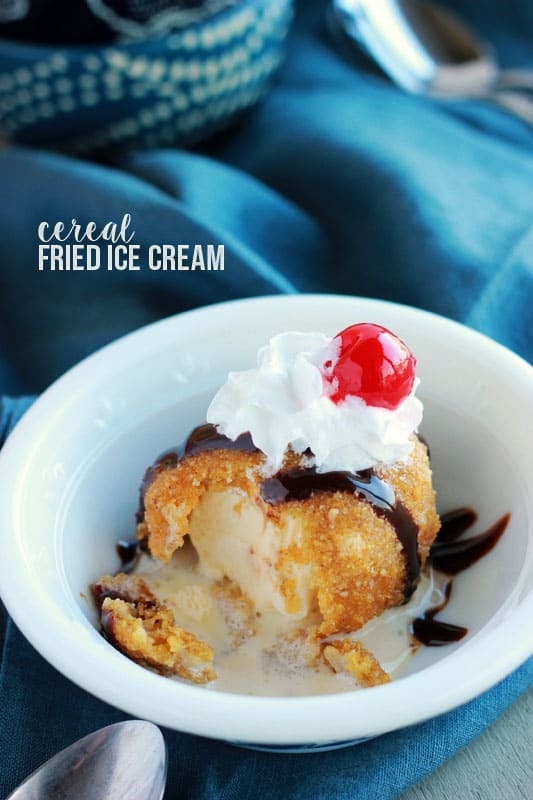 Fry your ice cream rounds for about 20 seconds or until the cereal is a beautiful golden brown. Just like that you have got yourself a dessert that is quick to disappear! Top it with a small bit of whipped cream, chocolate or caramel, and a cherry for an impressive and simple treat! We can not wait to make these again. I’m thinking I’ll head into Walmart around Cinco De Mayo and hit up the cereal aisle. 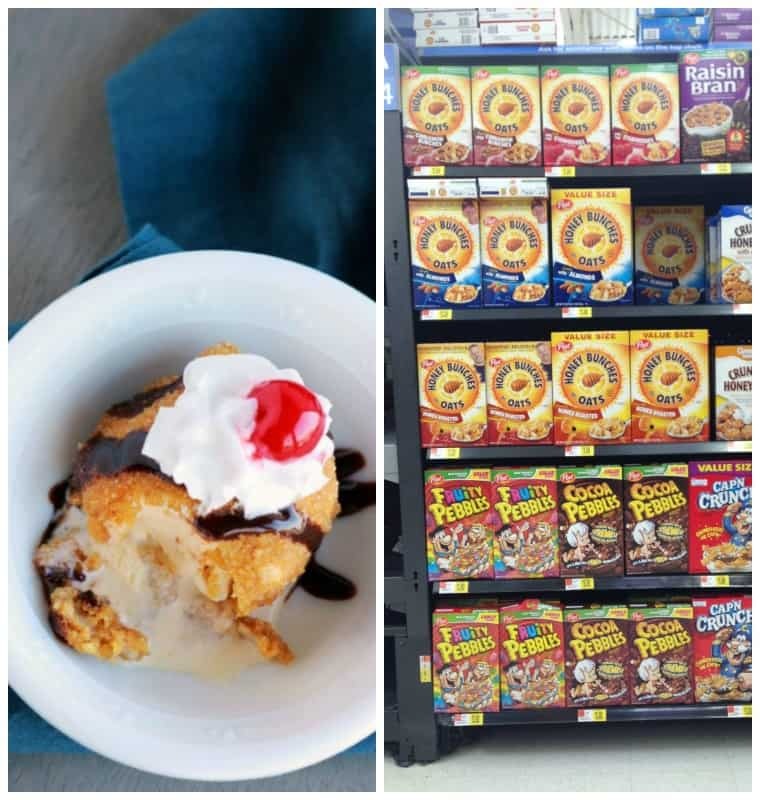 Even though we looooooved the sweet flavor we got with the Honey Bunches of Oats Honey Roasted flavor we might branch out and try one of their new varieties like Honey Bunches of Oats Gluten Free Chocolate, Crunch O’s, or Kung Fu Panda RTE Cereal. Wouldn’t a chocolate version be divine?? 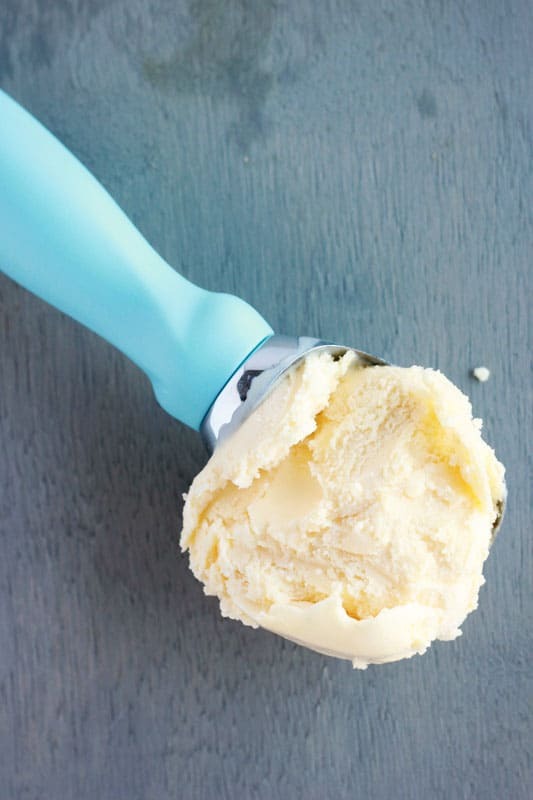 Divide your ice cream into five or six ball shapes using an ice cream scoop. Line a plate or small tray with parchment and place your ice cream on top. Freeze 1 hour or until frozen solid. 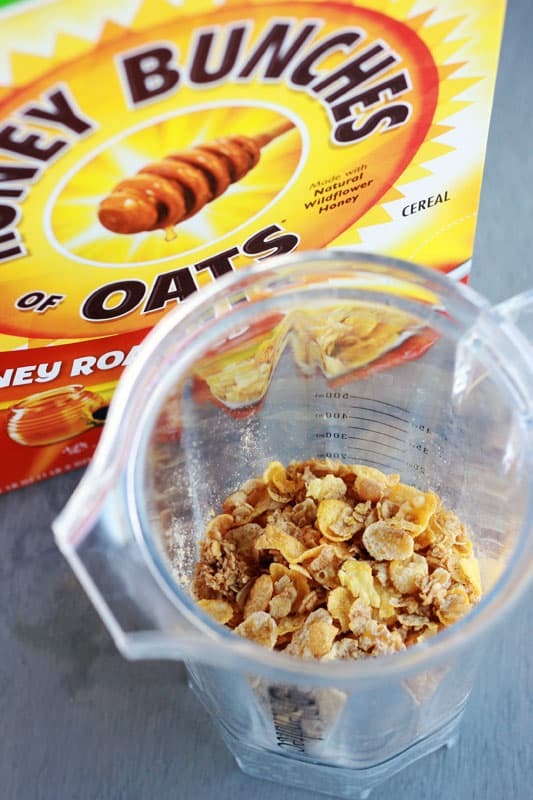 Place your Honey Bunches of Oats in a blender or food processor. Pulse until a fine crumb mixture is formed. Transfer to a shallow bowl. Whip your egg whites until slightly foamy. Roll your ice cream balls in the egg whites followed by the crushed cereal. Freeze 1-3 hours or until firm. Heat your oil to 375 degrees. 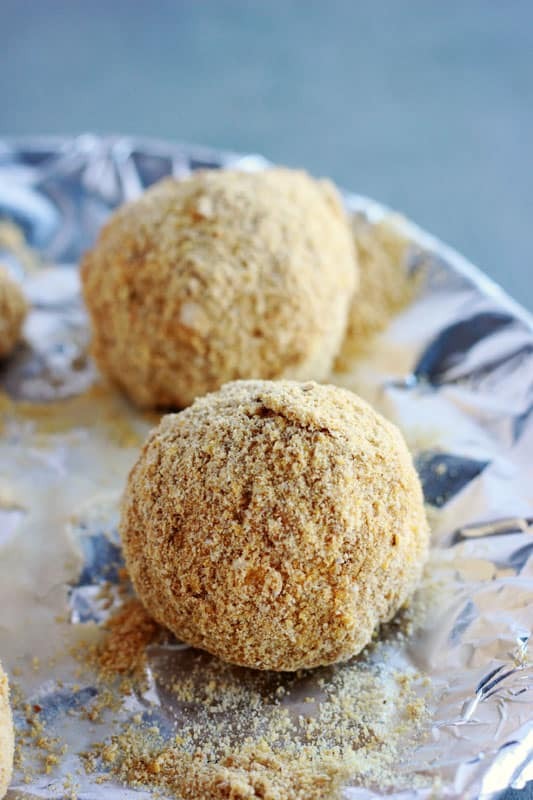 Fry each ice cream ball for 20 seconds or until the cereal coating is golden brown. Serve with whipped cream, chocolate, or caramel sauce.